Manchester United midfielder Jesse Lingard hailed the impact both interim coach Ole Gunnar Solskjaer and his assistant Mike Phelan have made. Since replacing Jose Mourinho in December, Solskjaer has enjoyed a remarkable start to life as a coach at Old Trafford with nine wins in 10 games and still unbeaten. The United legend has managed something that Mourinho could never quite do himself in winning over the squad with the likes of Paul Pogba and Marcus Rashford on a superb run of form. Meanwhile, Phelan has proven to a valuable member of the Red Devils’ coaching staff after returning from working as a sporting director for A-League side Central Coast Mariners. Speaking on the pair, Lingard praised them for returning United back to their roots and voiced his confidence over a challenge for the Premier League title next season. 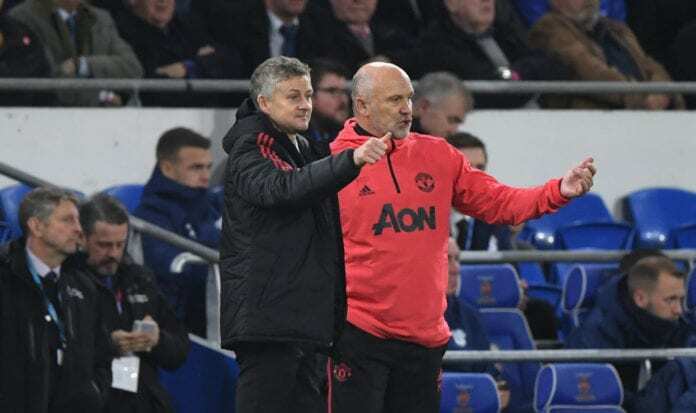 “Solskjaer and Mike Phelan have brought back the old school Manchester United,” Lingard told the Daily Mail. “They know the league and the club inside out, so to pass that on and get us playing how we are has been perfect. “Solskjaer is doing very well. Nobody can fault him. He has taken a lot on, but he already knew what he was doing when he came in. He got the players backing him straight away. “He told us there are big expectations and pressure at this club, but we have to deal with it and play like a real United team. The England international is relishing the next couple of weeks for United, which will see them take on Paris Saint-Germain in the Champions League along with both Chelsea and Liverpool in the FA Cup and Premier League. Lingard added: “You want to play in those big games – that’s why you play football. United will take a trip to Fulham for their next league match on Saturday.